Dave Delaney is the Communication Connoisseur. He is an acclaimed keynote speaker on the topics of business networking, corporate communication, and social media marketing. His presentations are humorous, educational and engaging for events of all sizes. Dave has provided keynote presentations for companies, conferences, and organizations like Google, LinkedIn, The UPS Store, American Marketing Association, SXSW Interactive, Hubspot Inbound Conference, HealthStream, HCA, and many more. Renee McAllister - LinkedIn Inc.
"Dave exceeded our expectations… Being a business owner, he was able to empathize with the audience and offer them real tips and advice they can use. His speech was authentic, informative and very well received by our audience." Nicole (Belt) Cox, The UPS Store. According to the Society for Human Resources Management (SHRM), every time a company replaces a salaried employee, it costs the business an average of 6 to 9 months’ that salary. This is painful and costly for every stakeholder in your business. Today, savvy business leaders are seeking new ways to improve communication and culture in (and out) of the office. That’s where Dave comes in. 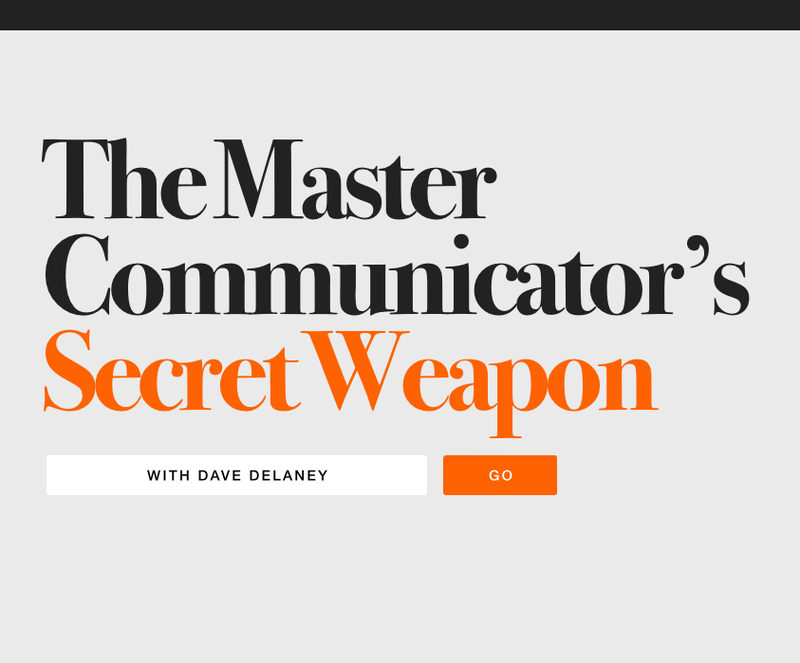 In The Master Communicator’s Secret Weapon, Dave Delaney will share three key communication skills that you can use each day to improve your communication with colleagues, clients, friends, and family. You will learn to listen better, not to fear failure, and to accept opportunities with an empathetic, open mind. Expect plenty of laughs and ah-ha moments during this acclaimed keynote presentation. Dave's popular keynote presentation is based on his book, New Business Networking. It includes humorous and inspiring stories to encourage your audience to make new connections during your conference or event. Dave provides attendees with the skills they need to break the ice, remember names, and how to listen effectively. He includes tips for hosting events, and how to use social media to connect before, during, and after your conference. When your attendees are networking they have better experiences. Dave will help bring them out of their shells, encourage them to make new connections, and follow-up the right way after your conference. New relationships born during your conference will always be attributed to you. Happy conference goers become loyal attendees who return each year and tell their friends and colleagues. Networking effectively is a win-win for everyone involved. Dave will teach them how and have fun doing it. YOU'RE JUST A QUICK CLICK AWAY... HIT THE BUTTON AND CONTACT DAVE (ME) TODAY. In 2009, Dave embarked on a 2,500 mile road trip in a restored VW bus from Nashville to Las Vegas. The journey included customer meet-ups, media exposure, social media content, and enough photos, videos, and ideas to promote his company, increase brand awareness, and improve customer relationships. This hilariously informative presentation introduces the fictitious, Jerry Larry. Jerry has made every mistake you can possibly make on LinkedIn. Dave will walk you through each error to entertain and educate your audience on the best ways to improve their LinkedIn profiles. Learn common mistakes and lesser known blunders you could be doing right now. Dave will leave the audience scrambling to check their LinkedIn profiles (and some quickly updating theirs too). “Yes, he is a great speaker, and keeps the audience engaged. Yes, he is a fount of practical knowledge. Yes, he is great to work with. But in the year since his talk, let me tell you some other things. I’ve sat back and watched, and he truly lives and breathes what he preaches. He *IS* that good at networking, he *IS* on the money with his recommendations about building relationships. And he has shown the ability to take those lessons across many different realms, from seminars to books to podcasts. That is the true test of one who has mastered a skillset. He has mastered it, and knows how to evangelize it to a full team or organization. “He captivated an audience of more than 150 students for 45 minutes with networking tips as well as providing info on numerous resources (e.g., apps and websites) that students should check out and consider using.